Join Team Mercy for the Cork City Marathon this year and help us to support advancements in research, diagnosis, treatments and care of patients at Mercy University Hospital. Now, more than ever, your support is vital. Please come on board and run the Cork City Marathon for the Mercy, the People’s Hospital. 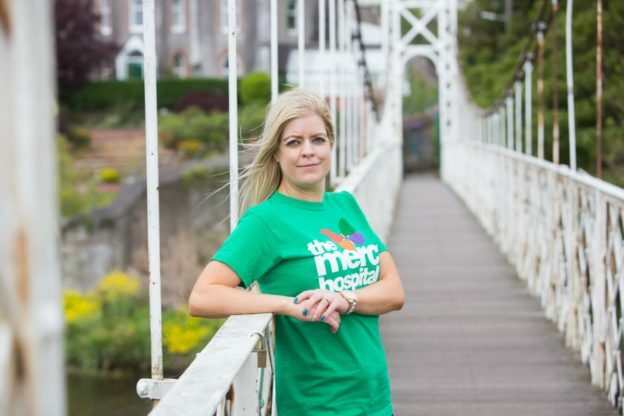 Aisling McEvoy has run the Cork City Marathon in aid of the Cancer Appeal of the Mercy University Hospital Foundation 2 years in a row in order to make a difference and help somebody else through their struggle. Having lost her brother, mother and father over the years, Aisling found that running helped her to cope with the grief. How to keep positive thoughts to the forefront of your mind, and how much it’s down to mental strength as much as physical strength. Sign up here to join Team Mercy. Remember, you must also register online with Cork City Marathon. Why not set up your own iDonate page and encourage friends and family (near and far) to show their support by donating on your sponsorship page. It’s easy to set up your own sponsorship page, see how it’s done here. Full list of Registration Fees is available on the Cork City Marathon website. Click here to view. For further information, please contact Deirdre on 021 4223135.